Have you ever had that experience wherein you forgot to save an important document and your computer just crashes all of a sudden? In times like this, you are left with no other option but to hope and pray that you will still be able to retrieve the said content; but chances are you really wouldn’t. 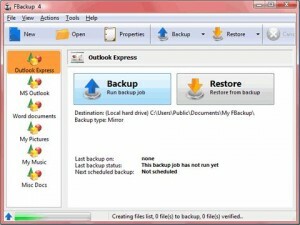 So in order to avoid not only these kinds of problems but to also make sure that all your important files are protected somewhere where they do not run the risk of facing crashing systems and broken hard drives, make sure to consider getting the most reliable online backup software now. There are a lot of software options these days that you can choose from. Since an online backup system has become important now more than ever, a lot of companies are creating their own versions to help you solve the problem. 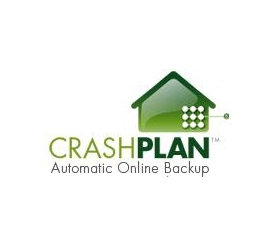 However, make sure that you only get the most reliable options out there like CrashPlan for instance. This software is ideal for use among people like you because it is compatible with all types of operating systems so you can access it when using different types of computers. Some online data backup systems claim to give you unlimited space when in fact they only provide you with a small 1GB option. Others on the other hand may claim that they are the best only to find that they are not as user friendly as they claim to be. Other than this, you might also chance upon some options that may provide you with a lot of space but that will also cost you too much money and of course, nobody really wants that. If you’re looking for just the right software, try using Mozy. It’s not free but it can give you as much as 2GB space that is basically what you just need anyway. A great thing you can do is to read through a number of reviews written by actual customers who have purchased the specific software you are looking at. This will give you an idea whether or not it is advisable to purchase the same thing. If not, simply move on to your other options because you will certainly never run out of them. Dropbox is one that has received a lot of positive reviews because for less than $10 you can get as much 50GB space from it. If you’re after a free option, Dropbox can provide you with $2GB absolutely free. 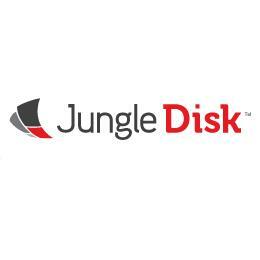 Getting Jungle Disk software can provide you with a lot of help. First and most importantly, you can easily copy and save all types of contents and files you have to an online system that stores it safely. You can easily get the files in times of need and add even more files as needed. This means that if your computer suddenly crashes or your hard drive suddenly breaks, you wouldn’t have to stress yourself with all the movies, pictures and other important memories that are lost just like that. Remember, since these files are now saved safely online, other people cannot also have access to them. Some software can provide you with secured and password protected accounts so you don’t have to worry whether or not other people who are using the same software or who are accessing their files online will find your files and read through it. 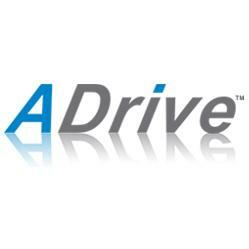 ADrive can give you this and more. For only $6.95, you can get as much as 50GB and if you want more, pay $1,453 and never worry about protection and space with its 10TB option! A great benefit you can get from getting the AVG LiveKive software is the fact that you can share some contents online among your friends and colleagues. Instead of inserting a virus-filled USB to your computer just to download a file that you need, you can simply ask your colleagues to save it to your online folder and within a few seconds, you can read through it and even edit it if needed. 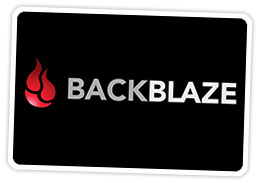 If you’re more after a 100% disaster recovery feature, don’t worry because Backblaze as well as all the other software you can find can provide you with the same guarantee. So you know for sure that your money is put to good use and that in case of blackout, you don’t have to worry about losing your files because they will be safely saved online. The price of BackUp Solutions software for instance differ depending on the protection, space and feature they can guarantee you with. The technique is to never get a product that seems too good to be true. Never spend for any software that costs too much and make sure to check the normal range of prices for this kind of product but make sure to consider getting this one because it will really live up to your expectations. If you have not tried getting software yet, do yourself a favor and make sure to get one now. 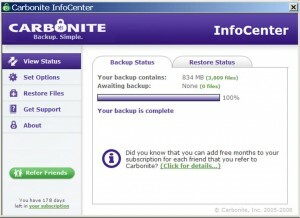 Start with the Carbonite software that will not only will it help you in more ways than one, you will also have the benefit of the doubt that you did everything that you can to make sure that all your important files are kept safe other than in your computer or hard drive. 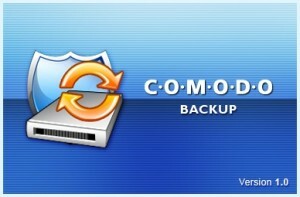 The Comodo Backup Software is another great option you have. For only $9.99 a month, you can already have a whopping 250GB online space and for only $19.99 a month, you are provided with 1TB space. In the event that you no longer want to continue with your subscription, all you have to do is give the team prior notice and you will be provided with ample time to free up your space. 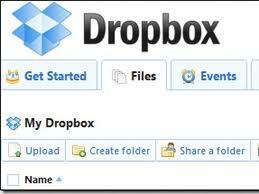 I like to used Dropbox because this is very easy. It is also easy to buy. Can you suggest me better one. Is my decision correct. Waiting for your reply. Thanks for this.